Was never a Ben & Jerry's fan even when I did eat dairy, but their latest political stunt would most definitely put me off their ice-cream if I did have a penchant for it. 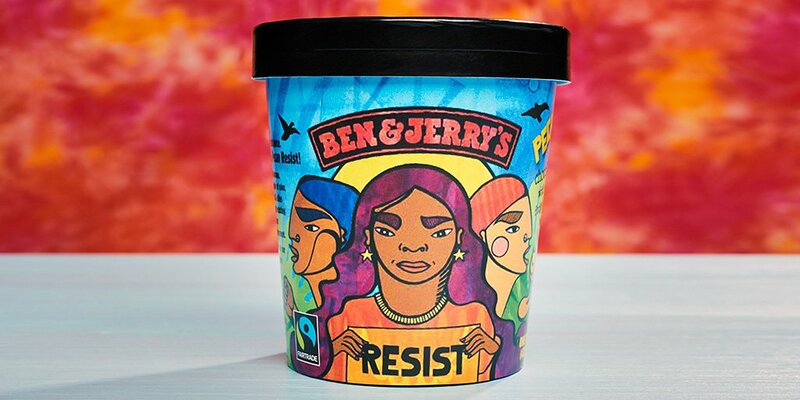 Back in October, the Vermont ice cream company led by two old lefties launched their #resist ice-cream, effectively thumbing their collective noses at probably half their customer base. Colorful, though not very appealing, art work. Like many Donald Trump haters they are part of the #resist movement. You know, those liberal folk out there actively lobbying to get the duly elected president impeached, or whatever it takes to get him out of office. 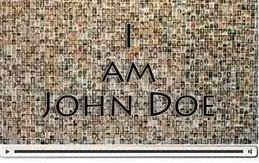 I suppose it probably also includes the #NeverTrumpers- or Republican traitors as I call them- though I'm not sure to what extent, if at all. Anyway, Ben and Jerry decided they would create an ice cream flavor to reflect their #resist sentiments, so they came up with Pecan Resist. Alongside all those nutty chunks, this pint packs a powerful message under its lid: together, we can build a more just and equitable tomorrow. We can peacefully resist the Trump administration’s regressive and discriminatory policies and build a future that values inclusivity, equality, and justice for people of color, women, the LGBTQ community, refugees, and immigrants. Pecan Resist supports four organizations that are working on the front lines of the peaceful resistance, building a world that supports their values. Get to know them, then find Pecan Resist here! Color of Change designs campaigns powerful enough to end practices that unfairly hold Black people back, and champions solutions that move everyone forward. Neta is one of the fastest-growing independent media platforms led by people of color along the Texas-Mexico border. That last organization is what really got people up in arms, and rightfully so. Speaking of regressive and discriminatory policies, and lack of equality- the head of Women's March is none other than Linda Sarsour. That rabid anti-Semitic Muslim Linda Sarsour. Yep, the so-called feminist who wears an hijab which demonstrates just how ultra religious she is, and is actually a symbol of oppression. And remember, it's the uber religious ones who believe in Shariah law, which certainly does not promote equality, and is as regressive and discriminatory a law as it gets. They kill gays under Shariah. They call for adulterers to be stoned. Women are worth half what a man is worth. Sarsour recently told American Muslims not to "humanize" Jews. And she happens to love The Muslim Brotherhood. Mallory attended the speech. She once posted a picture of herself embraced by Farrakhan, referring to him as “the GOAT” (Greatest Of All Time). So when she pointedly refused to condemn Farrakhan’s anti-Semitic and anti-LGBT comments after being asked, it was no surprise. But Ben and Jerry seem to have no qualms about supporting these women even though what they espouse is counter to what their Pecan Resist mission statement promotes. Liberals are hypocrites so maybe I shouldn't be surprised.